era of the feudal warfare of knights on horseback. —AJ. and how they made three battles afoot. On the Friday, as I said before, the king of England lay in the fields, for the country was plentiful of wines and other victual, and if need had been, they had provision following in carts and other carriages. That night the king made a supper to all his chief lords of his host and made them good cheer; and when they were all departed to take their rest, then the king entered into his oratory and kneeled down before the altar, praying God devoutly, that if he fought the next day, that he might achieve the journey to his honour: then about midnight he laid him down to rest, and in the morning he rose betimes and heard mass, and the prince his son with him, and the most part of his company were confessed and houselled;1 and after the mass said, he commanded every man to be armed and to draw to the field to the same place before appointed. Then the king caused a park to be made by the wood side behind his host, and there was set all carts and carriages, and within the park were all their horses, for every man was afoot; and into this park there was but one entry. Then he ordained three battles: in the first was the young prince of Wales, with him the earl of Warwick and Oxford, the lord Godfrey of Harcourt, sir Raynold Cobham, sir Thomas Holland, the lord Stafford, the lord of Mohun, the lord Delaware, sir John Chandos, sir Bartholomew de Burghersh, sir Robert Nevill, the lord Thomas Clifford, the lord Bourchier, the lord de Latimer, and divers other knights and squires that I cannot name: they were an eight hundred men or arms and two thousand archers, and a thousand of other with the Welshmen: every lord drew to the field appointed under his own banner and pennon. 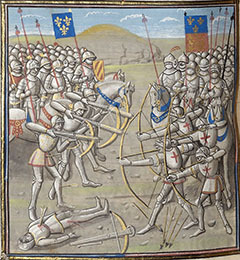 In the second battle was the earl of Northampton, the earl of Arundel, the lord Ros, the lord Lucy, the lord Willoughby, the lord Basset, the lord of Saint-Aubin, sir Louis Tufton, the lord of Multon, the lord Lascelles and divers other, about an eight hundred men of arms and twelve hundred archers. 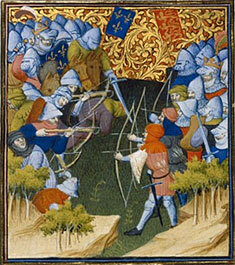 The third battle had the king: he had seven hundred men of arms and two thousand archers. Then the king leapt on a hobby,2 with a white rod in his hand, one of his marshals on the one hand and the other on the other hand: he rode from rank to rank desiring every man to take heed that day to his right and honour. He spake it so sweetly and with so good countenance and merry cheer, that all such as were discomfited took courage in the seeing and hearing of him. And when he had thus visited all his battles, it was then nine of the day: then he caused every man to eat and drink a little, and so they did at their leisure. And afterward they ordered again their battles: then every man lay down on the earth and by him his salet3 and bow, to be the more fresher when their enemies should come. and how they beheld the demeanour of the Englishmen. Then the king commanded that it should be so done. Then his two marshals one rode before, another behind, saying to every banner: 'Tarry and abide here in the name of God and Saint Denis.' They that were foremost tarried, but they that were behind would not tarry, but rode forth, and said how they would in no wise abide till they were as far forward as the foremost: and when they before saw them come on behind, then they rode forward again, so that the king nor his marshals could not rule them. So they rode without order or good array, till they came in sight of their enemies: and as soon as the foremost saw them, they reculed6 then aback without good array, whereof they behind had marvel and were abashed,7 and thought that the foremost company had been fighting. Then they might have had leisure and room to have gone forward, if they had list:8 some went forth and some abode still. The commons, of whom all the ways between Abbeville and Cressy were full, when they saw that they were near to their enemies, they took their swords and cried: 'Down with them! let us slay them all.' There is no man, though he were present at the journey, that could imagine or shew the truth of the evil order that was among the French party, and yet they were a marvellous great number. 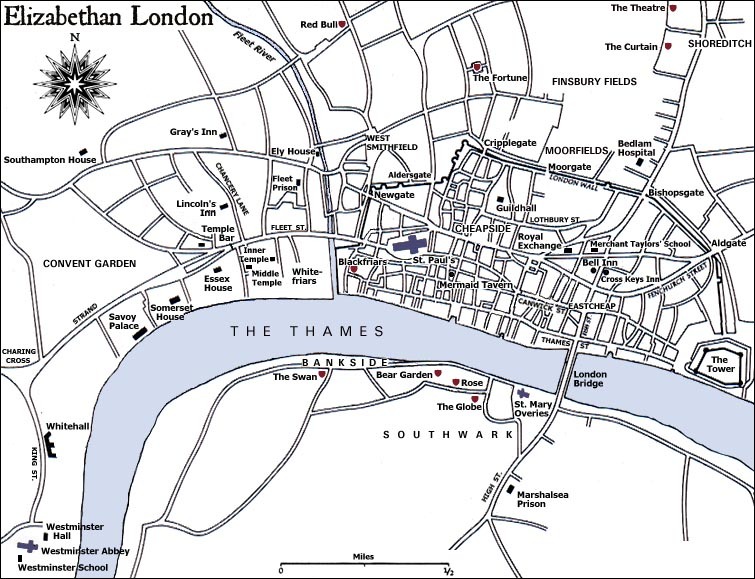 That9 I write in this book I learned it specially of the Englishmen, who well beheld their dealing; and also certain knights of sir John of Hainault's, who was always about king Philip, shewed me as they knew. king of England and the French king. The Englishmen, who were in three battles10 lying on the ground to rest them, as soon as they saw the Frenchmen approach, they rose upon their feet fair and easily without any haste and arranged their battles. The first, which was the prince's battle, the archers there stood in manner of a herse and the men of arms in the bottom of the battle. The earl of Northampton and the earl of Arundel with the second battle were on a wing in good order, ready to comfort11 the prince's battle, if need were. The lords and knights of France came not to the assembly together in good order, for some came before and some came after in such haste and evil order, that one of them did trouble another. When the French king saw the Englishmen, his blood changed, and said to his marshals: 'Make the Genoways12 go on before and begin the battle in the name of God and Saint Denis.' There were of the Genoways cross-bows about a fifteen thousand,13 but they were so weary of going afoot that day a six leagues armed with their cross-bows, that they said to their constables: 'We be not well ordered to fight this day, for we be not in the case14 to do any great deed of arms: we have more need of rest.' These words came to the earl of Alençon, who said: 'A man is well at ease to be charged with such a sort of rascals, to be faint and fail now at most need.' Also the same season there fell a great rain and a clipse15 with a terrible thunder, and before the rain there came flying over both battles a great number of crows for fear of the tempest coming. Then anon the air began to wax clear, and the sun to shine fair and bright, the which was right in the Frenchmen's eyes and on the Englishmen's backs. When the Genoways were assembled together and began to approach, they made a great leap and cry to abash the Englishmen, but they stood still and stirred not for all that: then the Genoways again the second time made another leap and a fell16 cry, and stept forward a little, and the Englishmen removed not one foot: thirdly, again they leapt and cried, and went forth till they came within shot; then they shot fiercely with their cross-bows. Then the English archers stept forth one pace and let fly their arrows so wholly [together] and so thick, that it seemed snow. When the Genoways felt the arrows piercing through heads, arms and breasts, many of them cast down their cross-bows and did cut their strings and returned discomfited. When the French king saw them fly away, he said: 'Slay these rascals, for they shall let17 and trouble us without reason.' Then ye should have seen the men of arms dash in among them and killed a great number of them: and ever still the Englishmen shot whereas they saw thickest press;18 the sharp arrows ran into the men of arms and into their horses, and many fell, horse and men, among the Genoways, and when they were down, they could not relieve19 again, the press was so thick that one overthrew another. 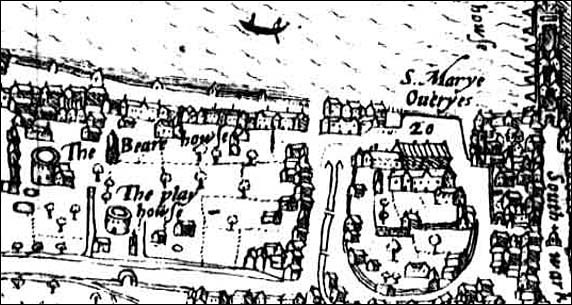 And also among the Englishmen there were certain rascals that went afoot with great knives, and they went in among the men of arms, and slew and murdered many as they lay on the ground, both earls, barons, knights and squires, whereof the king of England was after displeased, for he had rather they had been taken prisoners. The valiant king of Bohemia called Charles of Luxembourg, son to the noble emperor Henry of Luxembourg, for all that he was nigh blind, when he understood the order of the battle, he said to them about him: 'Where is the lord Charles my son?' His men said: 'Sir, we cannot tell; we think he be fighting.' Then he said: 'Sirs, ye are my men, my companions and friends in this journey: I require you bring me so far forward, that I may strike one stroke with my sword.' They said they would do his commandment, and to the intent that they should not lose him in the press, they tied all their reins of their bridles each to other and set the king before to accomplish his desire, and so they went on their enemies. The lord Charles of Bohemia his son, who wrote himself king of Almaine and bare the arms, he came in good order to the battle; but when he saw that the matter went awry on their party, he departed, I cannot tell you which way. The king his father was so far forward that he strake a stroke with his sword, yea and more than four, and fought valiantly and so did his company; and they adventured themselves so forward, that they were there all slain, and the next day they were found in the place about the king, and all their horses tied each to other. The earl of Alençon came to the battle right ordinately20 and fought with the Englishmen, and the earl of Flanders also on his part. These two lords with their companies coasted the English archers and came to the prince's battle, and there fought valiantly long. 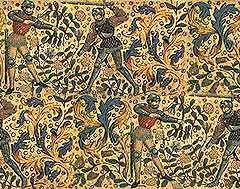 The French king would fain have come thither, when he saw their banners, but there was a great hedge of archers before him. The same day the French king had given a great black courser to sir John of Hainault, and he made the lord Tierry of Senzeille to ride on him and to bear his banner. The same horse took the bridle in the teeth and brought him through all the currours21 of the Englishmen, and as he would have returned again, he fell in a great dike22 and was sore hurt, and had been there dead, an23 his page had not been, who followed him through all the battles and saw where his master lay in the dike, and had none other let but for his horse, for the Englishmen would not issue out of their battle for taking of any prisoner. Then the page alighted and relieved his master: then he went not back again the same way that they came, there was too many in his way. 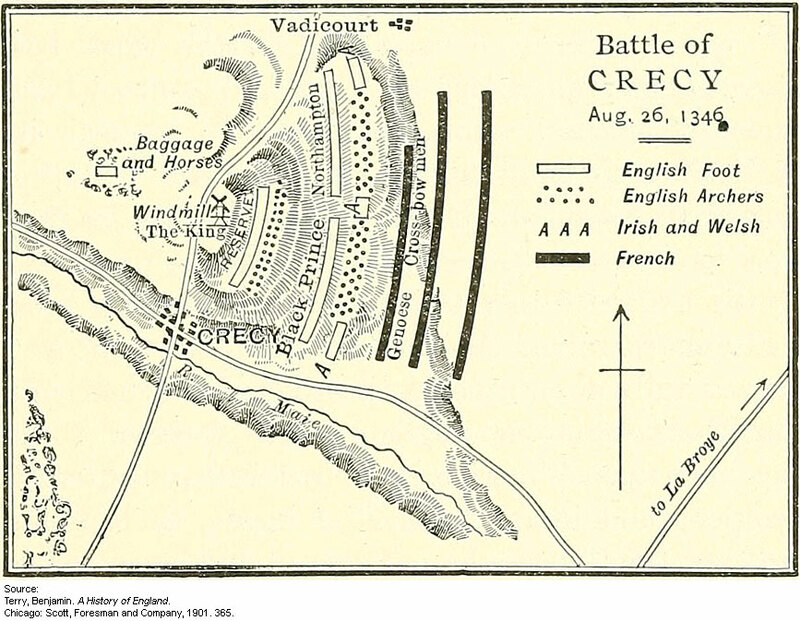 This battle between Broye and Cressy this Saturday was right cruel and fell, and many a feat of arms done that came not to my knowledge. In the night24 divers knights and squires lost their masters, and sometime came on the Englishmen, who received them in such wise that they were ever nigh slain; for there was none taken to mercy nor to ransom, for so the Englishmen were determined. 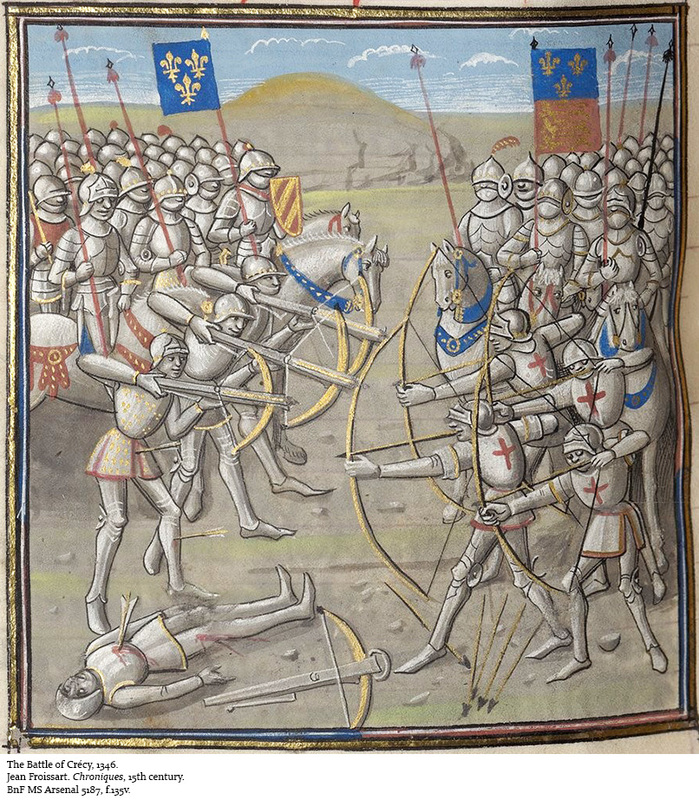 In the morning25 the day of the battle certain Frenchmen and Almains perforce opened the archers of the prince's battle and came and fought with the men of arms hand to hand. Then the second battle of the Englishmen came to succour the prince's battle, the which was time, for they had as then much ado; and they with the prince sent a messenger to the king, who was on a little windmill hill. 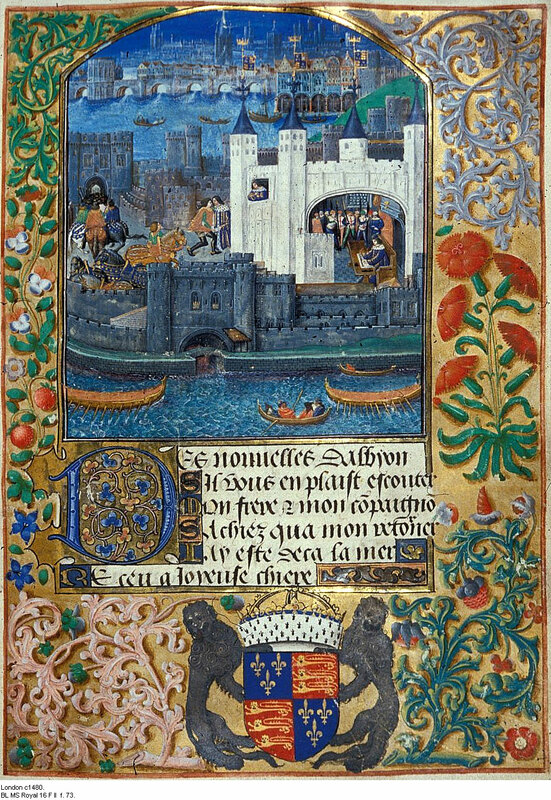 Then the knight said to the king: 'Sir, the earl of Warwick and the earl of Oxford, sir Raynold Cobham and other, such as be about the prince your son, are fiercely fought withal and are sore handled; wherefore they desire you that you and your battle will come and aid them; for if the Frenchmen increase, as they doubt26 they will, your son and they shall have much ado.' Then the king said: 'Is my son dead or hurt or on the earth felled?' 'No, sir,' quoth the knight, 'but he is hardly27 matched; wherefore he hath need of your aid.' 'Well,' said the king, 'return to him and to them that sent you hither, and say to them that they send no more to me for any adventure that falleth, as long as my son is alive: and also say to them that they suffer him this day to win his spurs;28 for if God be pleased, I will this journey be his and the honour thereof, and to them that be about him.' Then the knight returned again to them and shewed the king's words, the which greatly encouraged them, and repoined29 in that they had sent to the king as they did. Sir Godfrey and Harcourt would gladly that the earl of Harcourt his brother might have been saved; for he heard say by them that saw his banner how that he was there in the field on the French party: but sir Godfrey could not come to him betimes, for he was slain or30 he could come at him, and so was also the earl of Aumale his nephew. 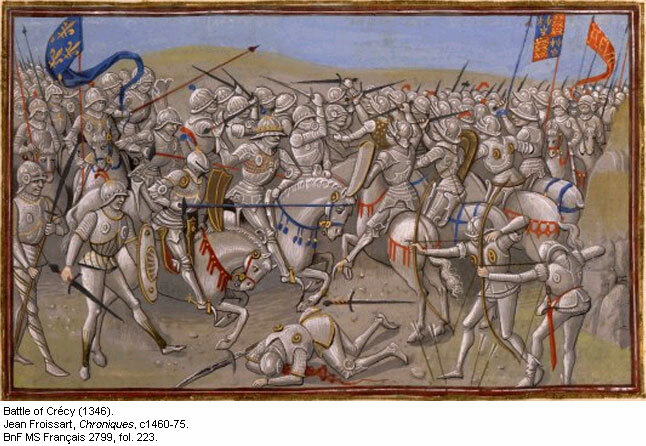 In another place the earl of Alençon and the earl of Flanders fought valiantly, every lord under his own banner; but finally they could not resist against the puissance of the Englishmen, and so there they were also slain, and divers other knights and squires. Also the earl Louis of Blois, nephew to the French king, and the duke of Lorraine fought under their banners, but at last they were closed in among a company of Englishmen and Welshmen, and there were slain for all their prowess. Also there was slain the earl of Auxerre, the earl of Saint-Pol and many other. In the evening the French king, who had left about him no more than a three-score persons, one and other, whereof sir John of Hainault was one, who had remounted once the king, for his horse was slain with an arrow, then he said to the king: 'Sir, depart hence, for it is time; lose not yourself wilfully: if ye have loss at this time, ye shall recover it again another season.' And so he took the king's horse by the bridle and led him away in a manner perforce. Then the king rode till he came to the castle of Broye. The gate was closed, because it was by that time dark: then the king called the captain, who came to the walls and said: Who is that calleth there this time of night?' Then the king said: 'Open your gate quickly, for this is the fortune of France.' The captain knew then it was the king, and opened the gate and let down the bridge. Then the king entered, and he had with him but five barons, sir John of Hainault, sir Charles of Montmorency, the lord of Beaujeu, the lord d'Aubigny and the lord of Montsault. The king would not tarry there, but drank and departed thence about midnight, and so rode by such guides as knew the country till he came in the morning to Amiens, and there he rested. This Saturday the Englishmen never departed from their battles for chasing of any man, but kept still their field, and ever defended themselves against all such as came to assail them. This battle ended about evensong time. On this Saturday, when the night was come and that the Englishmen heard no more noise of the Frenchmen, then they reputed themselves to have the victory, and the Frenchmen to be discomfited,31 slain and fled away. Then they made great fires and lighted up torches and candles, because it was very dark. Then the king avaled32 down from the little hill whereas he stood; and of all that day till then his helm came never on his head. Then he went with all his battle33 to his son the prince and enbraced him in his arms and kissed him, and said: 'Fair son, God give you good perseverance; ye are my good son, thus ye have acquitted you nobly: ye are worthy to keep a realm.' The prince inclined himself to the earth, honouring the king his father. This night they thanked God for their good adventure34 and made no boast thereof, for the king would that no man should be proud or make boast, but every man humbly to thank God. On the Sunday in the morning there was such a mist, that a man might not see the breadth of an acre of land from him. Then there departed from the host by the commandment of the king and marshals five hundred spears and two thousand archers, to see if they might see any Frenchmen gathered again together in any place. The same morning out of Abbeville and Saint-Riquiers in Ponthieu the commons of Rouen and of Beauvais issued out of their towns, not knowing of the discomfiture35 of the day before. They met with the Englishmen weening36 they had been Frenchmen, and when the Englishmen saw them, they set on them freshly, and there was a sore battle; but at last the Frenchmen fled and kept none array. There were slain in the ways and in hedges and bushes more than seven thousand, and if the day had been clear there had never a one escaped. Anon37 after, another company of Frenchmen were met by the Englishmen, the archbishop of Rouen and the great prior of France, who also knew nothing of the discomfiture the day before; for they heard that the French king should have fought the same Sunday, and they were going thitherward. When they met with the Englishmen, there was a great battle, for they were a great number, but they could not endure against the Englishmen; for they were nigh all slain, few escaped; the two lords were slain. 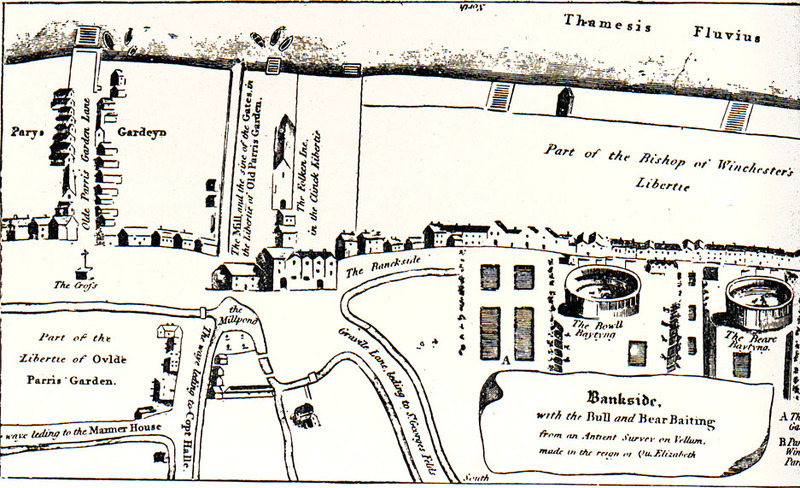 This morning the Englishmen met with divers Frenchmen that had lost their way on the Saturday and had lain all night in the fields, and wist38 not where the king was nor the captains. They were all slain, as many as were met with; and it was shewed me that of the commons and men afoot of the cities and good towns of France there was slain four times as many as were slain the Saturday in the great battle. The same Sunday, as the king of England came from mass, such as had been sent forth returned and shewed the king what they had seen and done, and said: 'Sir, we think surely there is now no more appearance of any of our enemies.' Then the king sent to search how many were slain and what they were. Sir Raynold Cobham and sir Richard Stafford with three heralds went to search the field and country: they visited all them that were slain and rode all day in the fields, and returned again to the host as the king was going to supper. They made just report of that they had seen, and said how there were eleven great princes dead, fourscore banners, twelve hundred knights, and more than thirty thousand other. The Englishmen kept still their field all that night: on the Monday in the morning the king prepared to depart: the king caused the dead bodies of the great lords to be taken up and conveyed to Montreuil, and there buried in holy ground, and made a cry in the country to grant truce for three days, to the intent that they of the country might search the field of Cressy to bury the dead bodies. 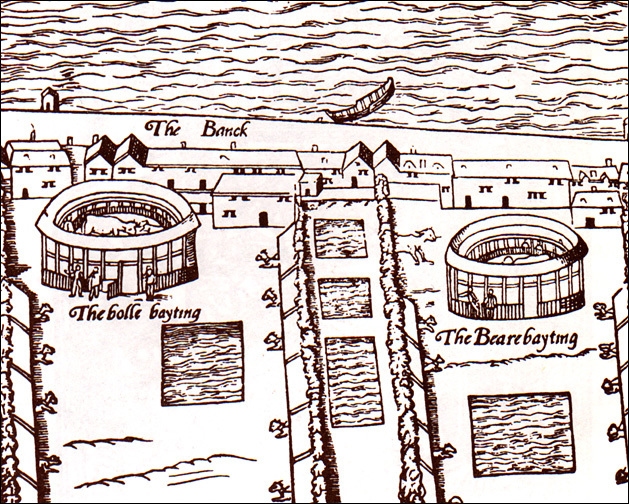 Then the king went forth and came before the town of Montreuil-by-the-sea, and his marshals ran toward Hesdin and brent Waben and Serain, but they did nothing to the castle, it was so strong and so well kept. They lodged that night on the river of Hesdin towards Blangy. The next day they rode toward Boulogne and came to the town of Wissant: there the king and the prince lodged, and tarried there a day to refresh his men, and on the Wednesday the king came before the strong town of Calais. 2. A small horse. The French text reads "un petit palefroi", i.e. a little palfrey. 12. Genoans; the French host included a company of Genoan crossbowmen. 13.  Villani gives the number as 6,000. 15. Mistranslation of "une eclistre", a flash of lightning. 21. Members of the light cavalry. 24. The French text reads "Sus le nuit," "towards nightfall." 25. The battle did not actually begin until 4pm; Froissart seems to mean "at the beginning of the battle." 26. Do not doubt but. 27. Closely; seriously. 28. The French text reads "Que il laissent à l'enfant gaegnier ses esperons," i.e. "That they let the child gain his spurs." Only when a squire earned his spurs with a feat of valor would he become a knight. 29.  They repented; regretted. 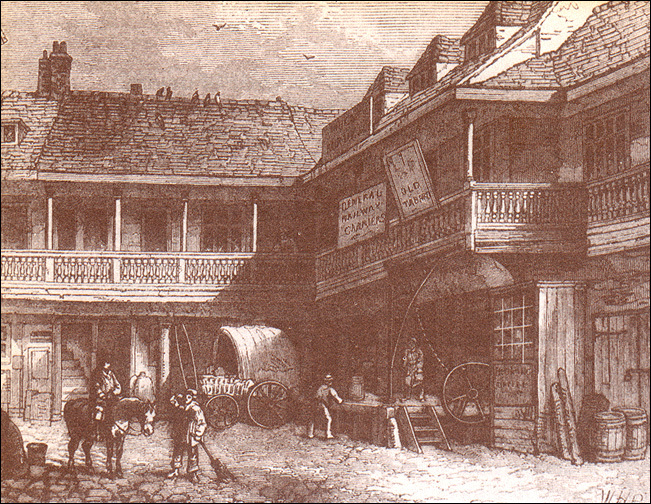 The French text reads "se reprisent." Froissart, Jean. The Chronicles of Froissart. John Bourchier, Lord Berners, Trans. G. C. Macaulay, Ed. London: Macmillan and Co, Ltd., 1904. 103. Notes by Anniina Jokinen, Luminarium. Books for further study: Allmand, Christopher. 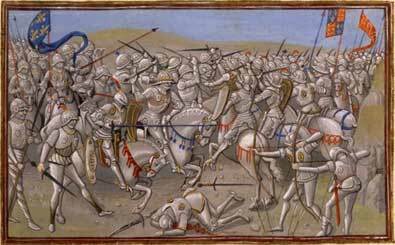 The Hundred Years War: England and France at War. Ayton, Andrew and Philip Preston. 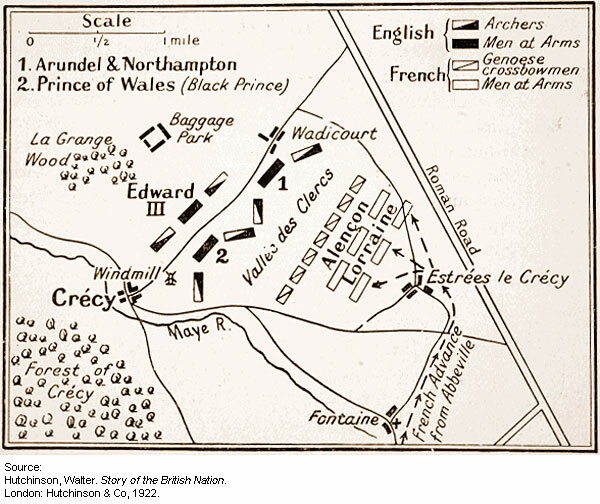 The Battle of Crécy, 1346 . Nicolle, David. 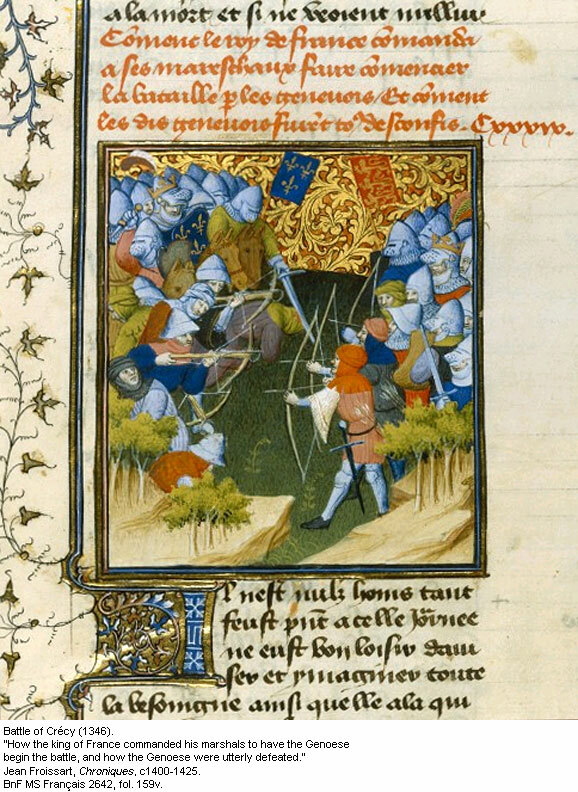 Crécy 1346: Triumph of the Longbow. Seward, Desmond. The Hundred Years War: The English in France 1337-1453. This page was created on November 9, 2010. Last updated September 17, 2017.